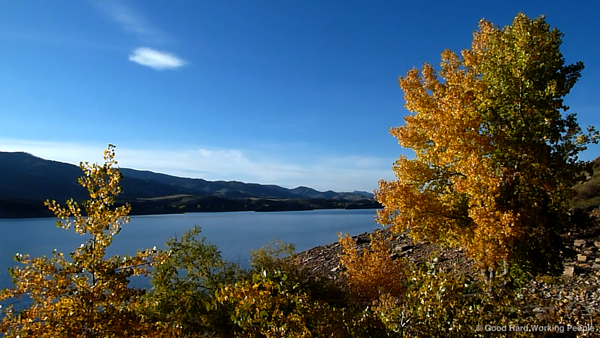 Horsetooth Reservoir on the west side of Ft. Collins, Colorado, is beautiful at any time of the year. Not counting two short visits in the early 2000s, it’s been almost exactly a year since I’ve been in Fort Collins, Colorado. I thought this would be the perfect time to make a video about the place where I spent most of my time (besides our house and garden): Horsetooth Reservoir. I’ve been collecting shots throughout the year to finally present you with proof that Horsetooth Reservoir is beautiful during all seasons, from spring to summer to fall to winter. The reservoir, constructed in 1949, stretches north-south for 6.5 miles (10 km), and is about one-half mile (1 km) wide. The song in the video is the instrumental version of “The Dreamers” by Josh Woodward. This song is licensed under a Creative Commons Attribution 3.0 US License. Thank you, Josh!